A SMALL primary school preparing for the summer break has been told it will not re-open after the holidays. St Brigid's PS in Augher, which marked its 50th anniversary this year, learned of its closure with just one week of term left. The decision, taken by the Department of Education's permanent secretary in the absence of a minister, has left the school community stunned. The proposal to close the school was published in February. Pupil enrolment has been decreasing steadily from 47 in 2007/08 to 17 in 2016/17, leaving 63 places unfilled. This is substantially below the Sustainable Schools Policy threshold of 105 for a rural primary school. In a report, department officials said St Brigid's was also "considered financially unsustainable". Its three year financial plans (2016-2019) show an increasing deficit - £5,987 at the end of March 2016 rising to £49,026 by the end of the last financial year. 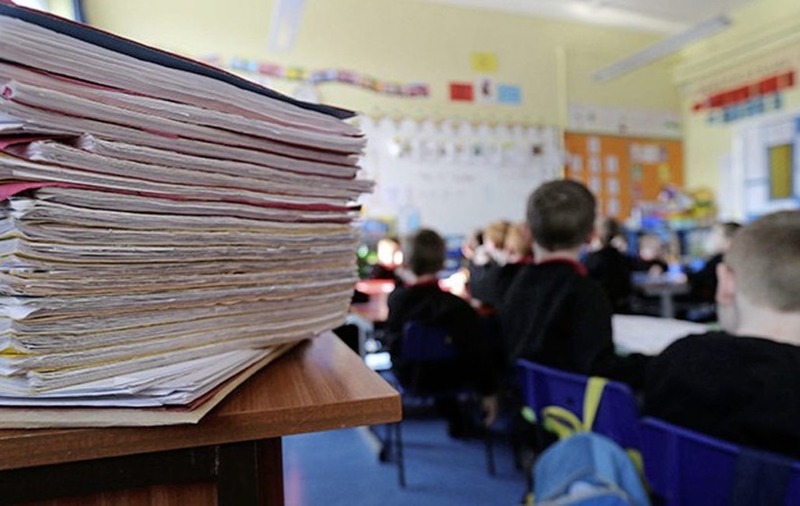 The Council for Catholic Maintained Schools said the fall in pupil enrolment has detrimentally impacted on the budget and the "anticipated carryover is growing each year to the point that it is not recoverable". The Education Authority (EA) confirmed the school was facing an increasing financial deficit due to decreasing enrolment numbers. The EA also revealed there were no applications for P1 in September 2017 which "will further exacerbate the school's financial situation". St Brigid's is the third closure approved by department permanent secretary Derek Baker. Proposals to shut up to eight schools were among those left in the balance by the situation at Stormont. With no minister in place, the department said its permanent secretary could rubber stamp proposals. "I have given careful consideration to the proposal and based on the analysis presented; the sustainability of the school; the capacity of neighbouring schools in the same sector and the longer term intentions for primary education provision in the area I have decided that it should be approved," Mr Baker said. Parents said they had been left in "despair" at confirmation of the closure. "Because we hadn't heard anything as the weeks crept on, we just made the assumption that they can't take the decision to close the school now," one told the Tyrone Courier. "We are being left high and dry." CCMS said the proposal had been in development for some time and that it liaised regularly with the school.